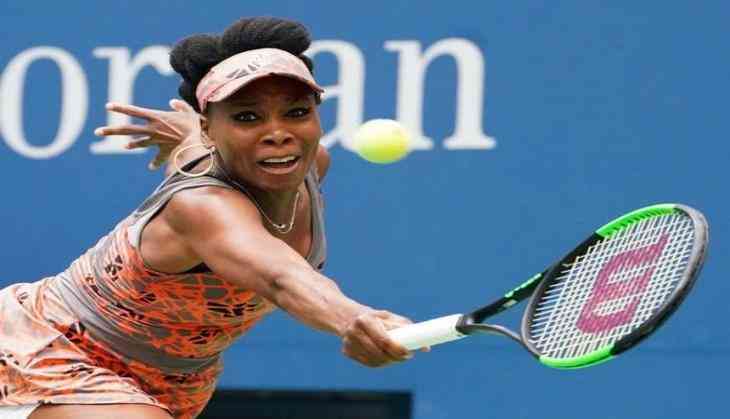 American tennis star Venus Williams suffered a major blow as she crashed out of the season-opening Grand Slam, Australian Open, after slumping to a shocking straight-set defeat against unseeded Belinda Bencic of Switzerland in the opening round here on Monday. With the women's draw is wide open, the last year's runner-up had hoped to make serious inroads into the first major of the year. However, Bencic proved too superior for Venus as she showed no sign of nerves while pulling off a comfortable 6-3, 7-5 victory over the fifth-seed in the women's singles clash that lasted an hour and 55 minutes at Melbourne Park's Rod Laver Arena. Bencic was leading 4-3 in the first set when rain delayed the play for almost half an hour. On resumption, Venus failed to convert on four break opportunities before the Swiss star broke once more to wrap up the set. In the second set, Williams broke the 20-year-old's serve in the opening game but she failed to hold from thereon to hand Bencic one of the biggest wins of her career, the WTA reported. Venus has now lost both matches she has played to start the year. She earlier slumped to an eventual champion Angelique Kerber of Germany in three sets after receiving a first-round bye last week at Sydney. The seven-time Grand Slam champion Williams was playing in her 77th major overall, the most appearances made by a woman in the Open Era. With the defeat, Venus has now joined Sloane Stephens, Dominika Cibulkova and Ekaterina Makarova on an already sizeable scrapheap of seeds to have gone no further than their opening matches.